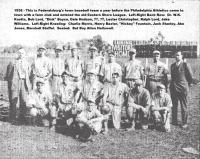 "​​Be a Fan of Federal Park"
At one time going to a baseball game to cheer for the Federalsburg Athletics at Federal Park on University Avenue was a much anticipated event. The Historical Society wants to keep that spirit alive. Don Bacorn has created a wonderful replica of Federal Park. 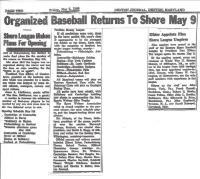 Initially, bases on the diamond were sold to help finance the traveling Smithsonian Hometown Teams exhibit, but now the ballpark needs fans. 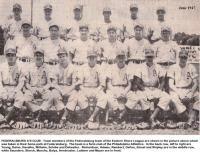 For a donation of $50.00 you can become a “Fan of Federal Park”, and your name will be inscribed on the exhibit. 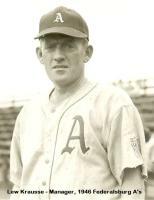 Example: John Doe, John & Jane Doe, The Doe Family, Mary Smith & John Doe, etc. 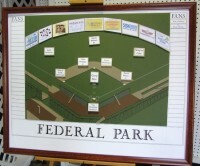 FANS OF FEDERAL PARK, c/o Gina McConnell, 22027 Gannon Drive, Preston, MD 21655. 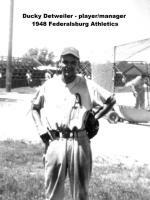 For more information about the Federalsburg A’s please contact Dicky Wheatley at 443-786-1614. 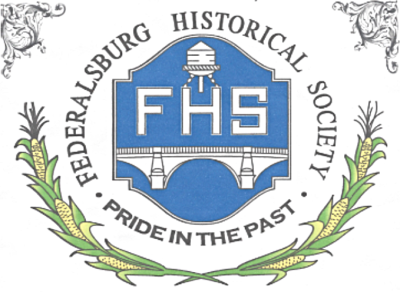 Click here for more history on Federalsburg MD.